Finally admitting that American conventional corn and soy are laced with deadly glyphosate, the FDA still has yet to admit that two major grains consumed by at least a 100 million Americans daily are also coated with carcinogenic weed killer. 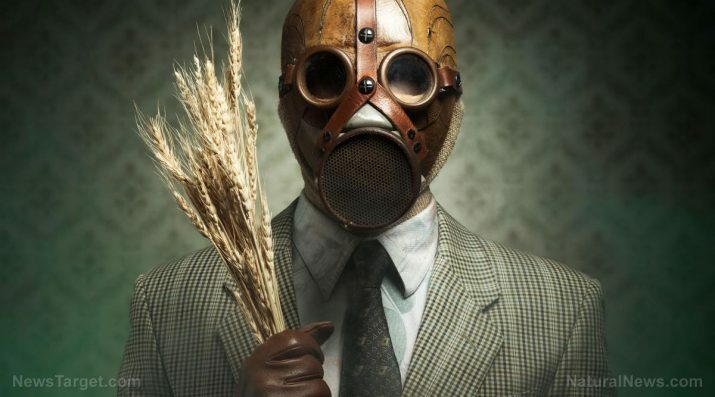 Glyphosate doesn’t just kill weeds, it’s a pre-harvest drying agent for wheat and oats, but you don’t need to be worried about all that, because the FDA isn’t, right? Wrong. Your conventional breakfast hot cereal and your granola is most likely contaminated with chemicals that warp your cells, but don’t go asking your oncologist for help there, because the U.S. medical industrial complex is not allowed to speak about the causes of cancer… they can only treat cancer with more cancer causing chemicals. However, U.S. courts are starting to see things quite differently now. Just recently, Judge Suzanne Bolanos of the Superior Court of California awarded nearly $40 million in punitive damages to a man with terminal cancer that was caused by glyphosate-based weed killer manufactured by Bayer’s insidious agricultural unit known as… wait for it… Monsanto. The evidence presented to the jury in the case was described as “overwhelming.” Immediately after the judgment came down like a nation-sized hammer, the German company’s stocks plunged almost 10 percent. Now, the Bayer-Monsanto Chem-Ag giant is facing over 8,000 additional lawsuits regarding glyphosate’s toxicity and the world-wide top selling “Roundup” weed killer causing outbreaks of cancer in humans. Can the corporate “prince of darkness” survive the onslaught? Yes, that’s right folks, the current FDA Commissioner, Scott Gottlieb, has financial ties to more than 25 GMO “Frankenfood-creating” firms and pharmaceutical “monsters” who all create the very cancer-causing toxins found in the most popular American grains. Gottlieb co-authored a report praising genetically engineered animals, saying they’ll benefit healthcare, nutrition, and the environment. So instead of protecting U.S. consumers from deadly food, this clown promotes it and runs the Food and Drug Administration (which should be renamed the Frankenfood & Death Agency). So, who are you going to believe about food safety and prescription drug safety now? Don’t forget, everything GMO is also sprayed with massive amounts of the weed killer and bug killer chemicals that the plants already have ingrained (pardon the pun) in their DNA. Monsanto and Bayer are the same companies that told Americans PCBs, DDT and Agent Orange were all safe. These goons all want us to donate money to “search for the cure” for cancer while they coat all wheat, oats, corn, and soy with it, and keep it unlabeled. Where does the FDA look for the food “criminals?” Where they know they won’t find them, in milk and eggs. Independent researchers have found that glyphosate doesn’t transfer to animal by-products, so the FDA only tests there, pretending to do their job so the American masses will continue to be hoodwinked into consuming cancer-causing chemicals daily. Forget about testing those popular snack bars, granola bars, oat cereals, and oatmeal. Forget about the fact that glyphosate, the main ingredient in Roundup weed killer, has been linked to cancer by the IARC and the World Health Organization (WHO), and by California state scientists. What’s worse, glyphosate is exponentially more potent and toxic to humans when mixed with all of the other “inert” and “inactive” chemicals in Roundup. Over the past couple decades, weed resistance has become a major problem as “Superweeds” have become immune to Roundup and are destroying the yield once thought to be improved by this biotechnology. So, in other words, the weed-killer is not only completely useless, but it’s giving the whole world cancer, including our pets. Just how dangerous is glyphosate? Glyphosate was synthesized in a laboratory by a Swiss chemist that patented the chemical chelator “agent” that was known then to bind and remove the minerals calcium, magnesium, copper, zinc and manganese. So not only does it cause cancer, but it eliminates the vitamins and minerals we need to fight cancer. Folks, buy organic grains and stop relying on the FDA to watch out for you, because they don’t. In fact, they do just the opposite.